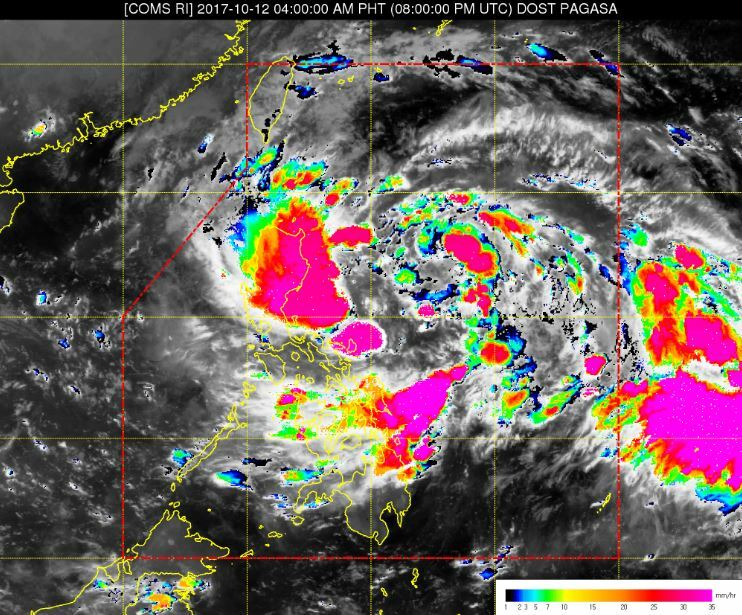 MANILA, Philippines – 'Bagyong Odette' has slightly intensified as it moves westward over the Philippine Sea, state weather bureau PAGASA announced in its 5:00 a.m. update on Thursday, October 12, 2017. 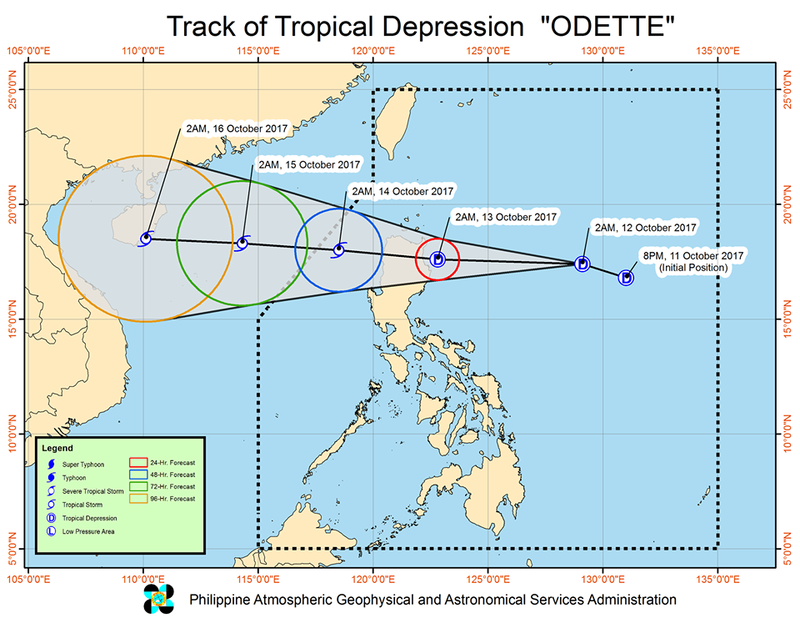 At 4:00 a.m. today, the center of Tropical Depression Odette, the 15th cyclone to hit the Philippines this year, was estimated based on all available data at 730 km East of Tuguegarao City, Cagayan (17.5°N, 128.6°E). 'Bagyong Odette' has maximum sustained winds of up to 55 kph near the center and gustiness of up to 65 kph. It is forecast to move West at 26 kph. Tropical cyclone warning signal (TCWS) No. 1 was raised over seven (7) areas of Luzon: Cagayan including Babuyan group of Islands, Isabela, Apayao, Abra, Kalinga, Mountain Province and Ifugao. PAGASA further announced the possibility of adding Ilocos Provinces in areas under Signal No. 1 this morning. The estimated rainfall amount is from moderate to heavy within the 350 km diameter of the Tropical Depression. Sea travel remains risky over the northern and eastern seaboards of Northern Luzon due to the northeasterly surface windflow enhanced by the approaching Tropical Depression.